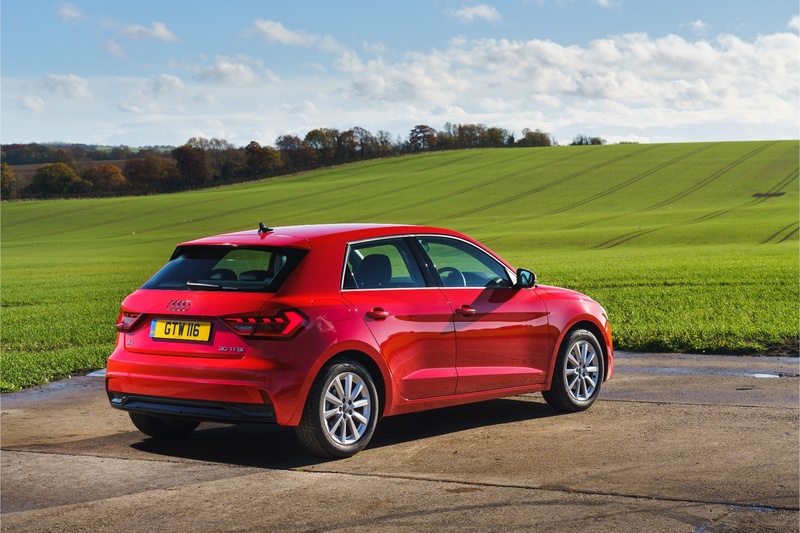 It’s been eight years since Audi launched the A1, its first foray into the small car segment. It was a trendy city runaround for the young, successful and fashion conscious, or so Audi would have had you believe. It was a very pleasant little car that appealed to many, all told. A rival to the Mini rather than a first-row practical proposition like the Ford Fiesta or Skoda Fabia, then. Like the Mini, however, the A1 had to evolve. 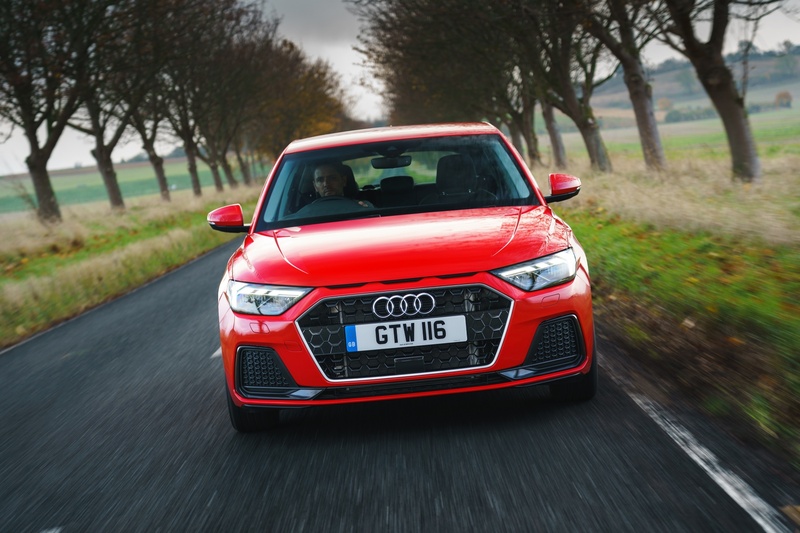 It offered a more Germanic, svelte and clean-cut alternative to the norm, but it lacked the spacious credentials of less expensive non-premium rivals. As the Mini grew up in its second and third generations, so too must the A1. Under the bonnet, you can have a range of three- and four-cylinder engines. Of the former, 95hp and 116hp versions are available, badged 25 and 30 TFSI. The four-cylinders come in 1.5 and 2.0-litre guises, at 150hp and 200hp, badged 35 and 40 TFSI. All engines bar the no-stick ’40 TFSI’ have both a manual and ’S tronic’ dual clutch transmission available. Trim levels for the A1 start at SE and progress through Sport, S line, S line Style, S line Contrast and finally S line Competition. The latter is only available on the 200hp 40 TFSI model. Each progresses with a steadily increasing level of standard equipment. Prices start at £18,540 OTR for the ’30’ SE manual, climbing to £23,180 for the ’30’ S line S tronic auto. The 25s, when they arrive in February, will be priced lower, and the ’35’ and ’40’ versions higher. Think of the ’30’ opening gambit for the A1 as a middle ground motor. What’s impressive about the A1 is that LED head- and rear lights come standard, as does a scaled-back version of virtual cockpit and an 8.8-inch multimedia touchscreen. Wherever you buy into the A1 range, Audi doesn’t want to leave you feeling short-changed. 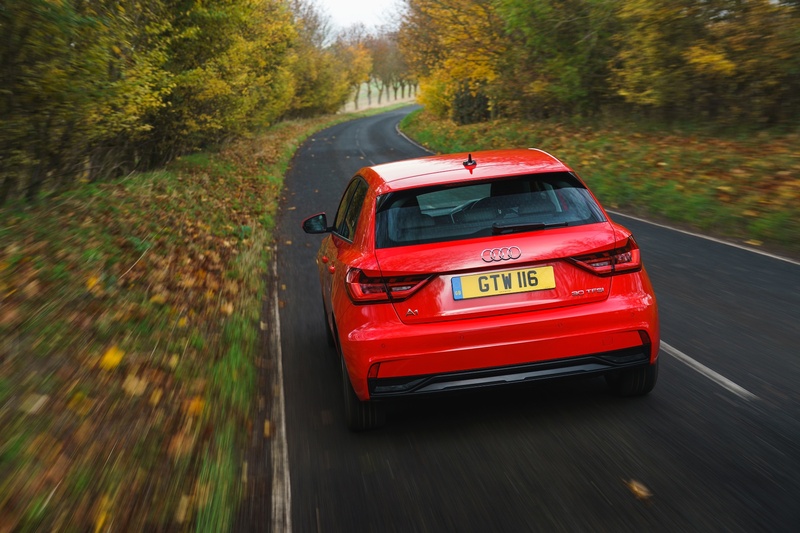 Happily, the new A1 doesn’t take grown-up to mean boring. The marque’s new edgy design language, including the oblong grille, is evident – it’s definitely a member of the four-ringed family. Lots of sporty styling, with many influences from the classic Sport Quattro (those nostrils), give all new A1s a cool aesthetic edge. That’s in spite of there no longer being a three-door option and that the old sloping rear end has been docked somewhat. We’ll note later how the old A1’s curvaceous rump was a worthwhile sacrifice. If you’re after a funkier look, customisation options include contrasting roof colours and, in the spring, coloured wheels. Contrast and Style trim specifications spice it up, too. The standard LED lights keep it looking sharp. Young drivers like nothing more than cool lights, and every A1 will come shipped with a set of the very best. Gone are sad halogens that would otherwise discern our 30 TFSI Sport as middling compared to a top-of-the-line 40 Competition. In the world of chic superminis, the new A1 is positioned better than ever. The current Mini is quite doughy and fussy, while the Fiat 500 is really showing its age. Right now is the perfect time for this iteration of the A1 to debut. People want funky and premium – an entry point into German high-quality motoring – and the A1 is almost alone in delivering that. The good news continues on the inside. The door shuts with a satisfying thump and the cabin you’re met with is angular, interesting and better put-together than most rivals. Our test car could do with being brightened up a bit. Fortunately, body-coloured interior accent trims are an option. The tech’s all there, too, as we mentioned before. Screens abound in the A1 from the bottom of the range, with navigation, Apple CarPlay and Android Auto also coming as standard. 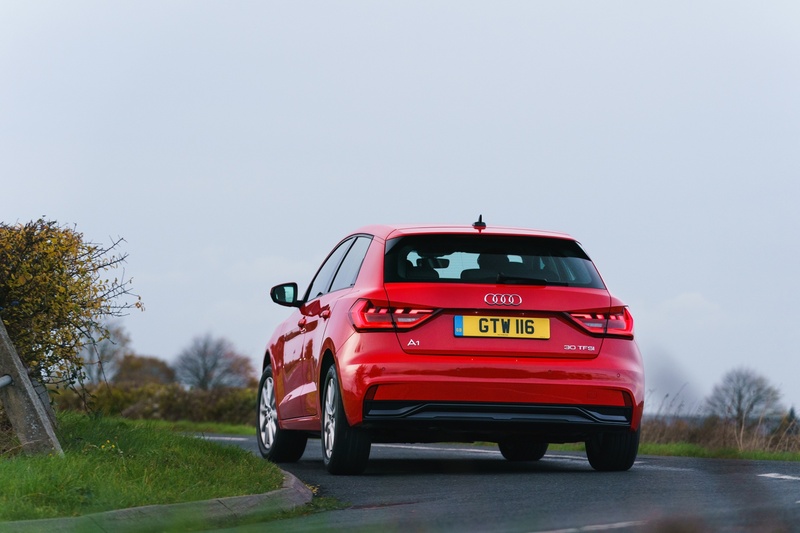 Our 30 TFSI had the technology pack ticked which adds a hefty £1,650 to the price. It’s worth noting that it’s not standard on any A1 in the range. For that, you get a bigger 10.1-inch touch screen, MMI Navigation Plus, full virtual cockpit (with nav viewable) and wireless phone charging. The screen is as responsive as your smartphone or tablet, including when browsing the 3D map view – a level of capability we’ve been wanting in cars since the iPhone debuted over 10 years ago. Truthfully, we’re not sure we’d go for it given the generous standard equipment levels, though it would likely bolster residual value. The quality is superb, as we’d expect from Audi. Indeed, there’s less creaking from the interior appointment than the A8 L limousine we rode to the event in. All the control surfaces have a satisfying weight – from buttons with just the right ‘click’ to a strangely addictive action in the indicator stalk. The overall layout has that inimitable if somewhat derivative VAG logic to it. You forgive the cut-and-paste controls given everything is just so intuitive and easy. That angular dash facia pointing a lot of what’s important at the driver boosts the ergonomics and keeps the design interesting. 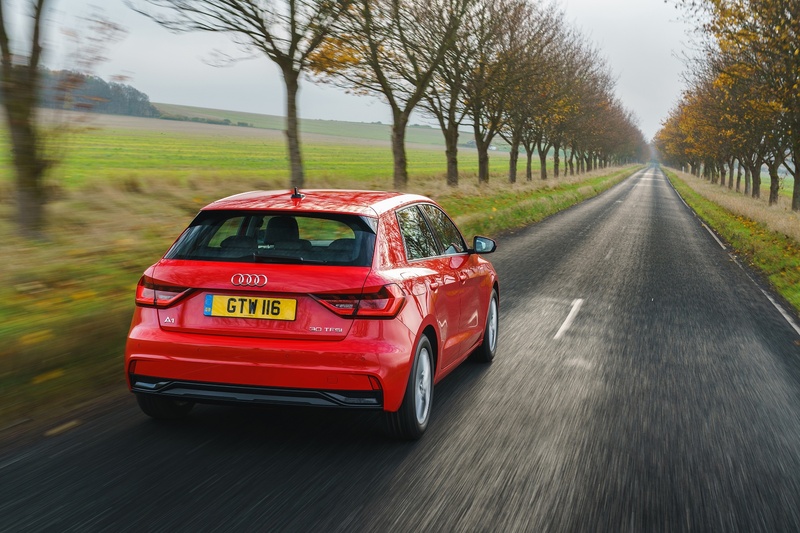 Life gets a lot better in the new A1 versus the old one if you’ve got some clobber to carry and back seats to fill – even if the new car is both lower and thinner. The sloping rear end of the old car made for a comparatively small boot and cramped rear seating. The rear now seats an adult of average height, while boot space is up from 270 to 335 litres with the seats up. That compares to just 278 litres in the current Mini five-door. We put it to the test helping a friend move house and we weren’t left wanting for a more spacious rival, as you might have in the past in this trendier style-conscious end of the segment. The A1 performs well for the segment that it’s in. Around town you’re quick to adapt to its dimensions and the controls are nicely weighted for urban hustling. The 1.0-litre three-pot is a willing power unit around town too, getting away from the lights suitably swiftly if you so need. The six-speed manual transmission is good for light, smooth, swift, almost one-finger changes, though we’d sooner have the S tronic for congested urban stop-start driving. Safety systems such as the lane-keep assist work well, too – informative without yanking at the wheel. As a drive for the sake of driving, the A1 is competent if not scintillating. Even without Quattro all-wheel-drive, it hangs on well in the bends to a point well beyond that which any buyer is likely to reach. The body is resiliently flat and you can really enjoy that given the A1’s pleasingly low driving position. Really get a hustle on down a country road and you do get a sense of balance that’s been missing from many past Volkswagen Group hatches – a rear that wants to chase and keep the front end in check, rather than passively follow a nose that’s quick to wash wide. It’s set up to push given a bullish pilot, but it’s by no means an outright merchant of understeer. The ride is busy but not nasty, making for a nice balance between cornering capability and day-to-day amenability. We’d be curious to see if optional bigger 17 and 18-inch wheels (than our 16s) would play a part in worsening that. The steering is short on feel but sharp and light. Keep it in the balanced mode rather than dynamic in the Audi Drive Select. 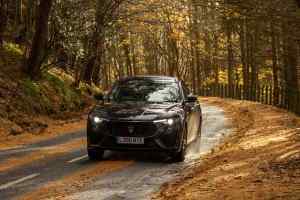 The brakes are reassuringly strong when you need them to be and progressive everywhere else, while the shift is perfectly pleasant and the clutch action and bite intuitive. The engine is absolutely fine most of the time, willingly thrumming away around town doing whatever you ask of it. However, its 116hp begins to spread thin in faster situations where you’d want to call on a bit of power in reserve. It’s there if you’re handy with your cog swapping and don’t mind really putting your toe in. We’d be tempted to add an extra cylinder and 34hp in the form of the 150hp 1.5 ’35 TFSI’ for a whiff more motorway on-ramp muscle but it’s not essential. 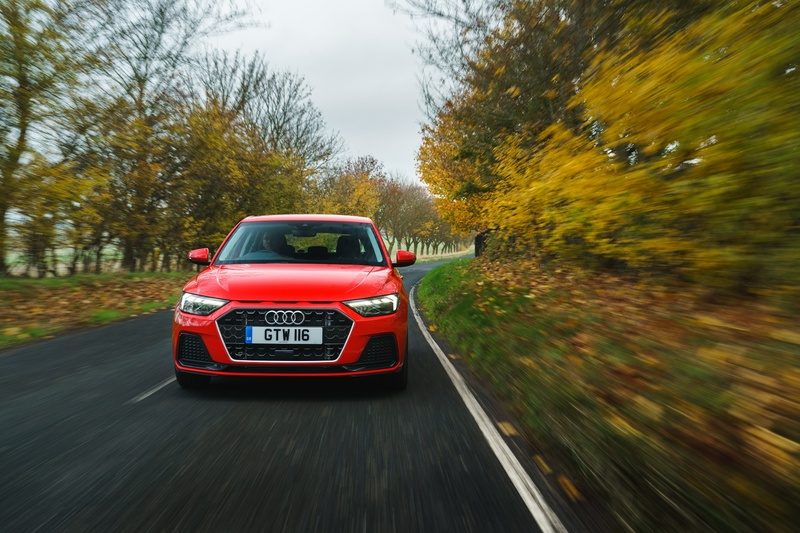 While capable and an improvement to drive over many prior VAG efforts, the A1 never quite has the back road-munching personality of rivals like the Ford Fiesta. That car is by far a class-leader in that respect. Nevertheless, the A1’s fast road manners are good enough to the point of not putting you off. In every other respect it’s a perfectly lovely, competent, easy and efficient steer, if at times lacking a bit of effortless grunt. It’s a nice car inside, too. It’s got the premium feel and the form factor you expect of an Audi. It’s more grown-up and less gimmicky than a Mini, without being boring. Audi expects residual values to be stronger, too, which is good for PCP deals. 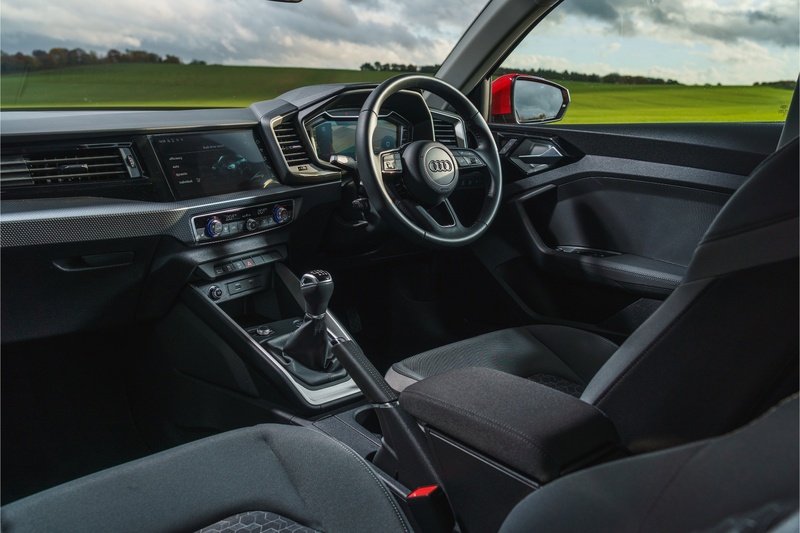 It’s more spacious than the outgoing A1, giving it practical credentials as well as style. Good standard equipment levels mean there isn’t really a cooking version in the traditional sense, which is a great move on Audi’s part. The trouble is pricing. When you factor in the fact that the best engines are probably further up the range, you’re already looking at near-on £20,000 before options. Yes, you get those lights and good tech thrown in but to be honest, they ought to be included. It’s somewhat bitter-sweet, especially given lesser ‘Group brands don’t exactly screw their cars together badly. The VW Polo and Seat Ibiza are fine cars in many of the ways the Audi is but for folding-money less. That said, tall pricing comes with the whole “premium” thing and a badge many will pay out for. Overall, we like the new A1. It’s a real improvement over its predecessor and, in many ways, a benchmark car in its segment, if you can stomach the price. Then again, the appeal of the four rings is strong with a younger generation that has month-by-month money to blow, so the price is less of a worry. Those who can, do and those who can’t, wish they could. 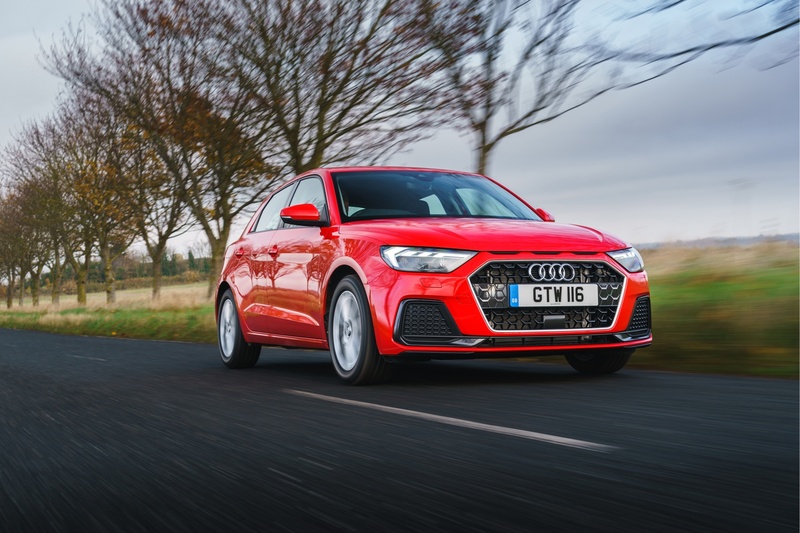 Which engines does Audi offer with the A1?